Liz’s first vest and also her proof of concept, made from an old duvet using her own pattern. The inside seams are rather unseemly because she still didn’t know how to put them inside the lining. 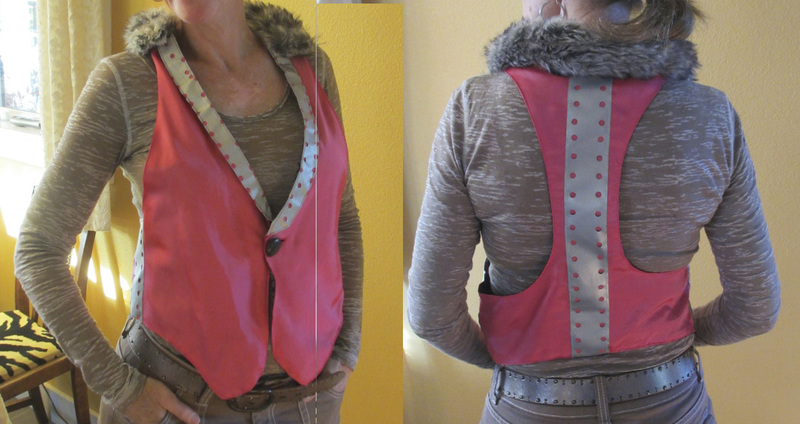 This pink vest is the second attempt. It is made from a ball gown, reflective tape, and a faux fur scarf. Although it is pretty cool, Liz decided that she could do better if she tried again. The inside seems were still sticking out and the lapels were disjointed. The fur collar hides the lapel issues. 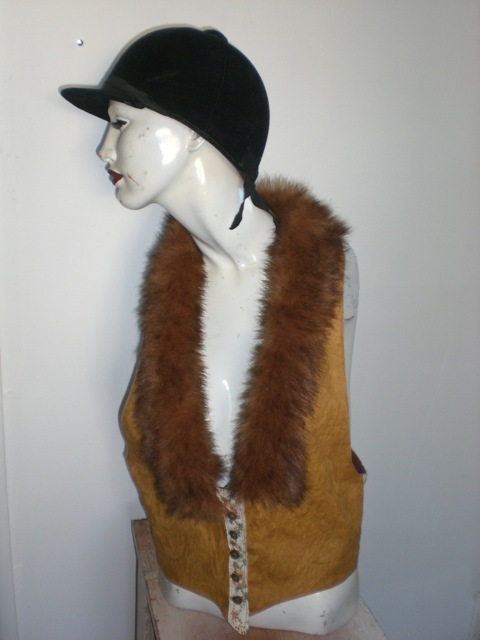 This brown vest is Liz’s third try at a vest. It is made from a table cloth, an embroidered belt and a monkey costume. The inside seams finally made it inside the lining. 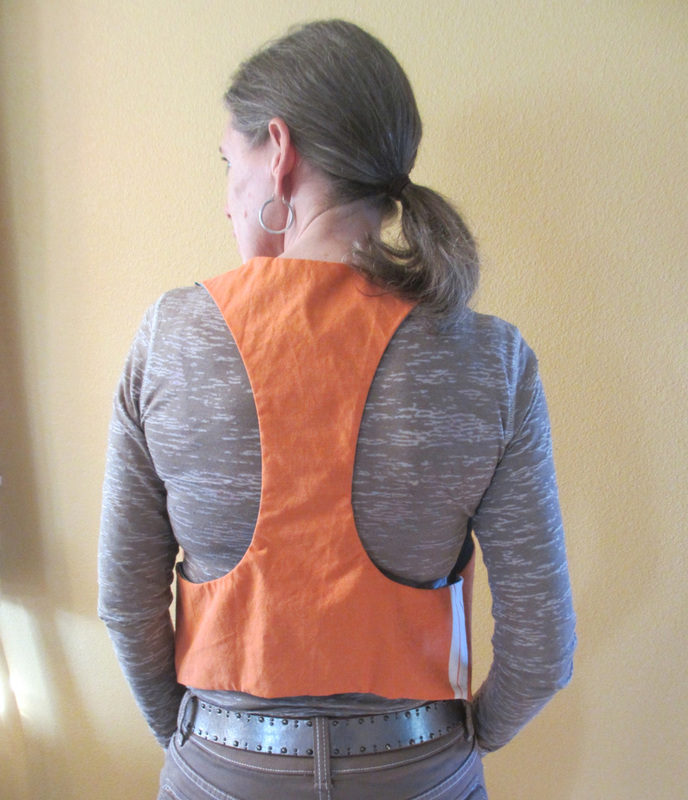 This is the fourth vest in which Liz fulfills her “Bicycle Vest” vision. Made out of the same duvet, it has reflective tape so that the wearer can be seen at night while riding around.